In Drupal, the categorization of content is called "taxonomy." In this video we explain how taxonomy is broken down into vocabularies - which are fieldable bundles - and terms - which are entities. The first thing we're going to tackle are these tags. In Drupal, the term used to describe this type of categorization is taxonomy. The word taxonomy will be familiar to you if you've ever worked at a library, or if you're a biologist, but for many of us the first time that we'll run into this term is using Drupal. Taxonomy simply means categorization. In the web world, the most common form that you'll see is tagging, where it's usually a single level categorization where you can assign content to multiple groups. But taxonomy can also be hierarchical, for example if you had content that described vehicles, you might have multiple levels of categorization, like make and model. 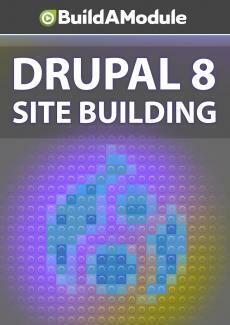 Let's look at how the interface is structured in Drupal to deal with taxonomy. To get there, we can go to Structure, and Taxonomy. So taxonomy in Drupal is comprised of multiple vocabularies.